No OHLer scored more goals than North Bay Battalion captain Justin Brazeau did this season. Justin Brazeau has slowly but surely become a dominant presence in the Ontario Hockey League. 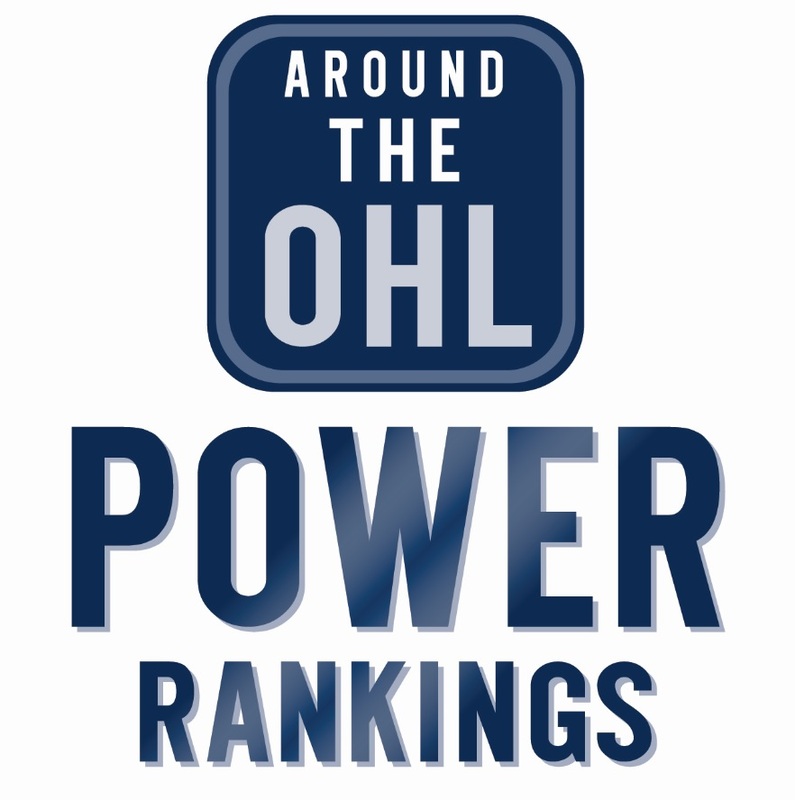 The New Liskeard native has plummeted to the top of the OHL scoring race, which should come to as less of a surprise as you think. The 6’6″ winger has blossomed into a consistent offensive threat who has found a nice scoring touch in his last 2 seasons with the North Bay Battalion as he welcomed a new addition to his jersey for the 2018-2019 season, a letter “C” crested on his left shoulder. However, Brazeau’s rise to stardom didn’t come easy. Growing up in Northern Ontario, ice time and training grounds were few and far between. With ice time only available come winter months and very limited off-ice training outlets, the odds never seemed to favour the 13th round pick in the 2014 draft, but his size alone was enough to garner some attention from Battalion scouts. Brazeau’s former midget AAA coach Dan Macdonald had a pretty good idea of Brazeau’s potential and was more than willing to help out any way that he could, which included reaching out to a mutual acquaintance. That mutual acquaintance? Stan Butler. Macdonald was acquired by Butler in 2004 after spending the previous four seasons with the Plymouth Whalers and the Kingston Frontenacs, and knew that if there was a northern kid that Butler should take a chance on. It was Brazeau. “Braz was showing signs early in his midget career that he was going to be a special player. He had excellent on ice vision and incredible hands, but what really set him apart was how coachable he was,” said Macdonald. If there’s one thing for certain, Brazeau’s foot size alone was an early sign at just how big the forward was going to be. Rocking a size 14 skate at the age of 13, it was no secret that his skating would be his kryptonite, but Brazeau’s approach to it all gave him more than enough motivation to know what had to be done if he wanted to make the jump to the OHL. Countless hours of power-skating and a serious approach to off-ice, Brazeau saw his point total double, that’s right, double, in his first three seasons in the OHL going from 13 to 37 to 74 and has now set the Battalion franchise record with 61 goals, averaging almost a goal a game to go along with 113 points in 26 games. That was good enough to finish first in goals, and second in overall scoring behind Niagara’s Jason Robertson. When asked about his recent success, you don’t have to look too deep to understand just how humble the skillful forward really is. When it comes to finding the back of the net, he credits his experience and jokingly admits that every now and then, you need a little luck. Now upon further research, I tried to figure out what he meant by needing “a little luck” and frankly, I don’t see it. Although that goal may tell you otherwise, a hockey stick wasn’t Brazeau’s only weapon of choice growing up. Unbeknownst to most, when he wasn’t working on his hockey skills, a quick drive to the New Liskeard Golf Club would reveal the 6’6 frame carefully working on his other craft, his golf game. I mean, who wouldn’t enjoy golf if they could smack the ball 300+ yards and easily reach par 5’s in two on a consistent basis? Little did he know, the skills he learnt on the course would not only give him bragging rights at the Battalion Golf Tournament but also play a crucial part in the type of player he is on the ice, something that he certainly gives credit to. With the OHL trade deadline come and gone, a player of his status would’ve certainly gathered some well-earned attention from contenders hoping to make a deep playoff push. Having never been involved in a trade, or trade conversations for that matter, this was all a new experience for the towering forward. One that he saw as an opportunity to further his maturity and growth as a player both on and off the ice. Justin Brazeau celebrates one of his 61 goals during the 2018-19 season. “I had a conversation with Stan at the deadline about what could happen going forward and we both agreed that we wanted what was best for the organization going forward and if an offer came through that put the Battalion in a better position going forward, he wouldn’t hesitate,” said Brazeau. When the dust settled, and Brazeau knew he would finish his fourth and final year as a Battalion, much like fans, he admits there was a sense of relief and pride that would add him to the short list of players who finished four-plus years with the same OHL team that drafted them. As NHL scouts continue to check in on what exactly Brazeau has to offer, professional hockey may finally pull the Northern Ontario kid a little further from home as he looks forward to whatever opportunity presents itself next. Wherever “Braz” ends up, he hasn’t taken for granted that his parents, and all of New Liskeard (Justin Brazeau Day) have only an hour and a half away so they can take in the Justin Brazeau show that the Memorial Gardens offers for the remainder of the playoffs. As for me? Well, let’s just say I’m more than okay being an alumnus while this guy gives goalies nightmares. Tags: Junior Hockey, Justin Brazeau, NHL, North Bay Battalion, OHL, Stan Butler. Bookmark the permalink.